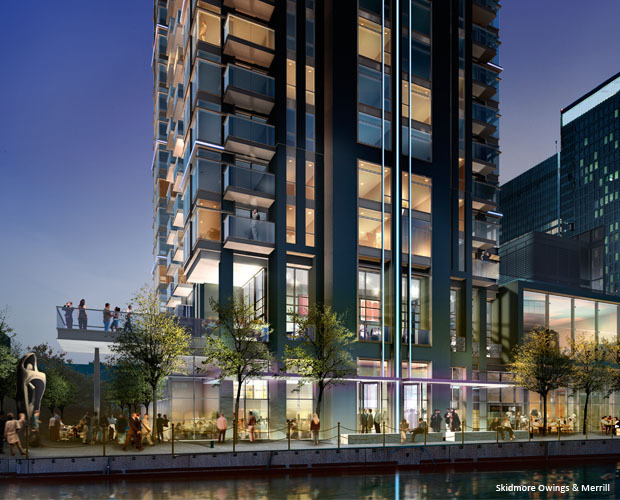 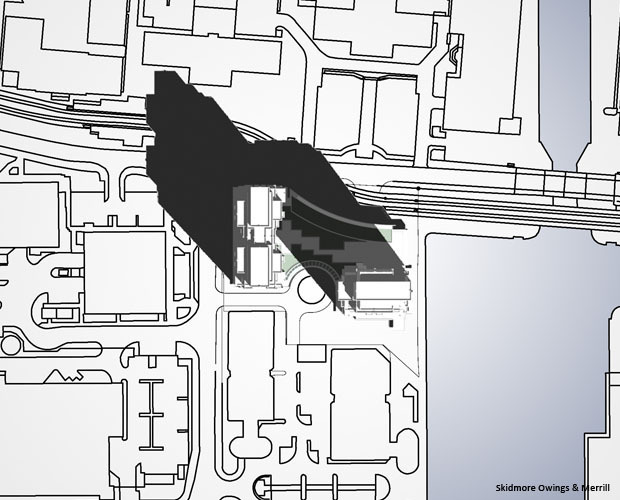 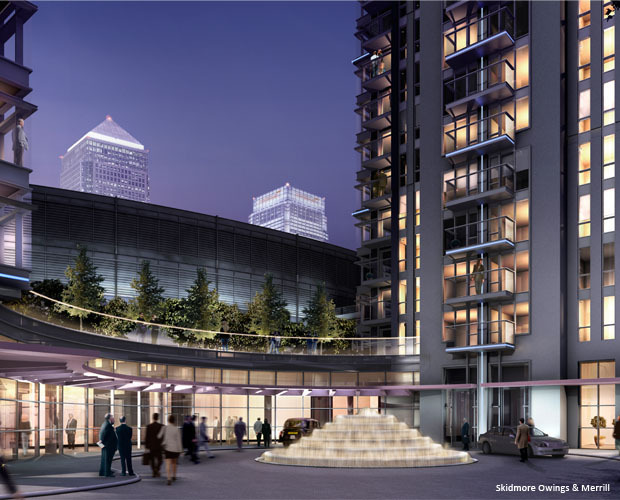 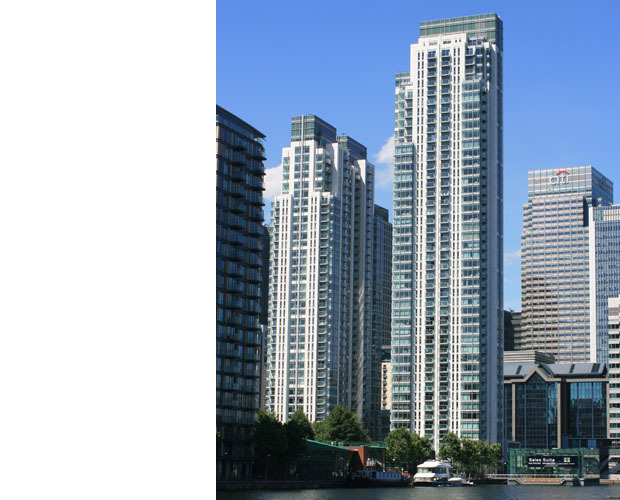 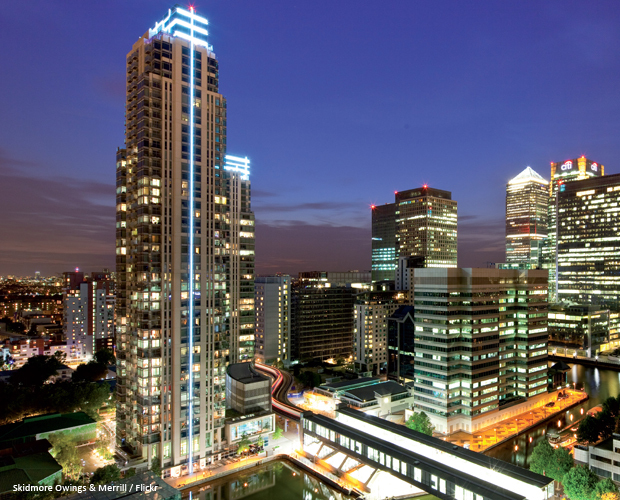 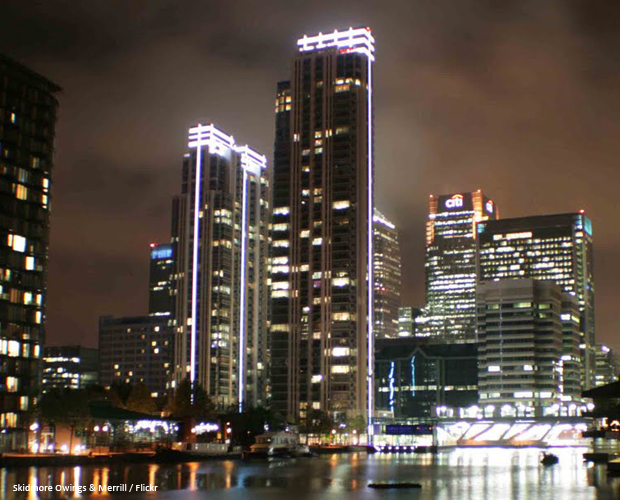 Adjacent to Canary Wharf, Pan Peninsula is the key focus for the Millennium Quarter Masterplan in the Docklands. 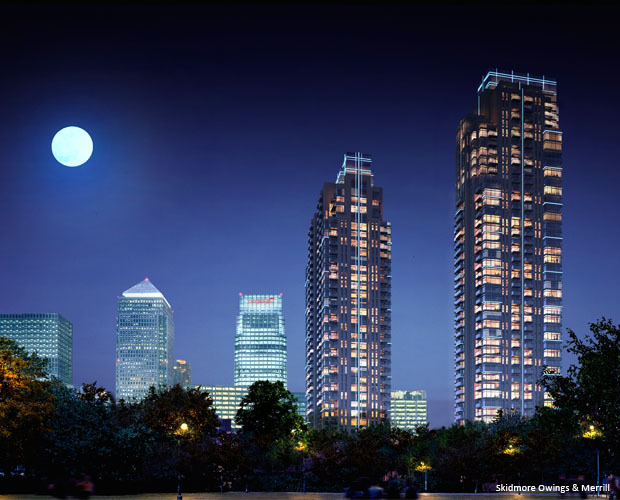 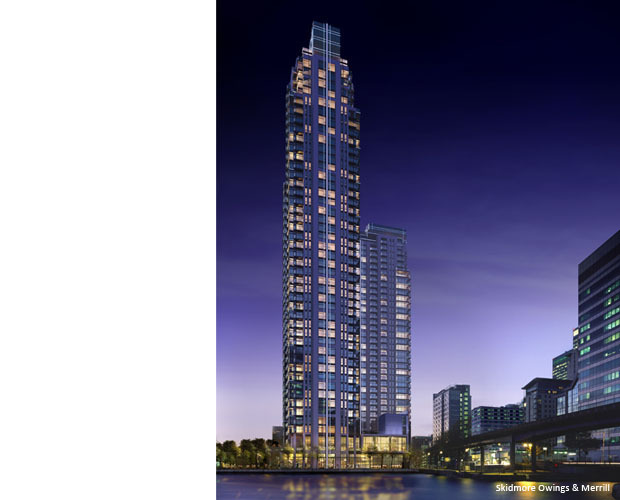 Two residential towers, linked by a multi-purpose podium, feature luxury apartments with dramatic views over east London. 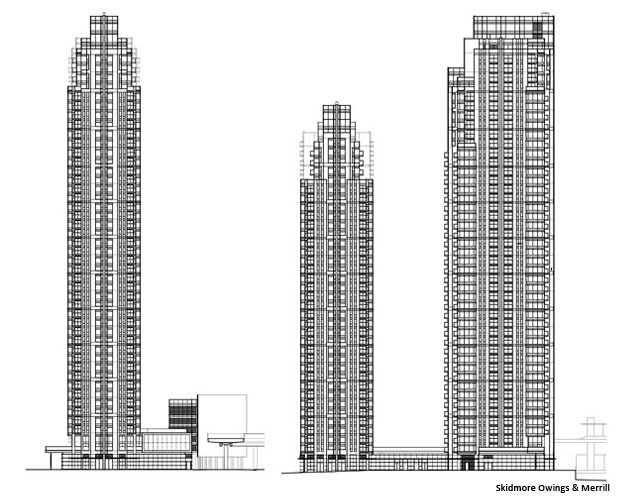 The principle design concept for each tower centers around a cruciform of stone, marked on the corners with individual towers of floor-to-ceiling glass. 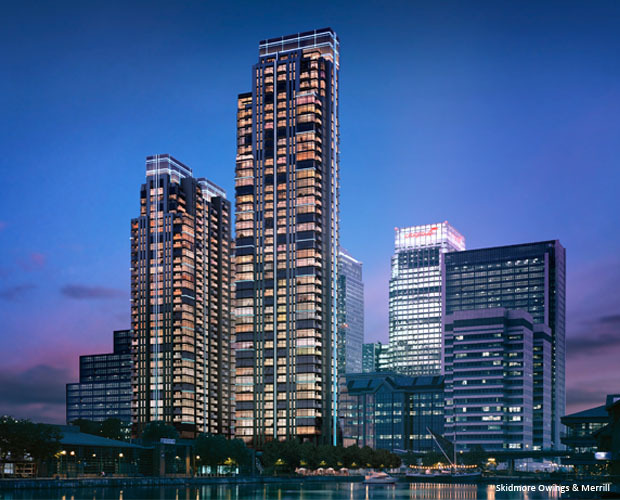 A single-story glass ribbon wraps around and through the cruciform of each tower, setting the towers into the surrounding context. 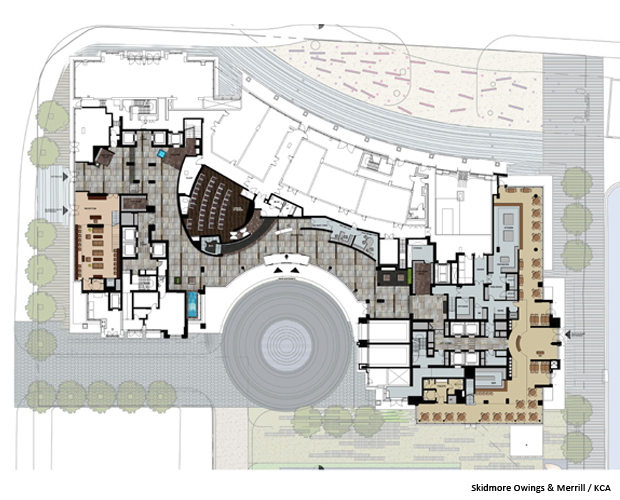 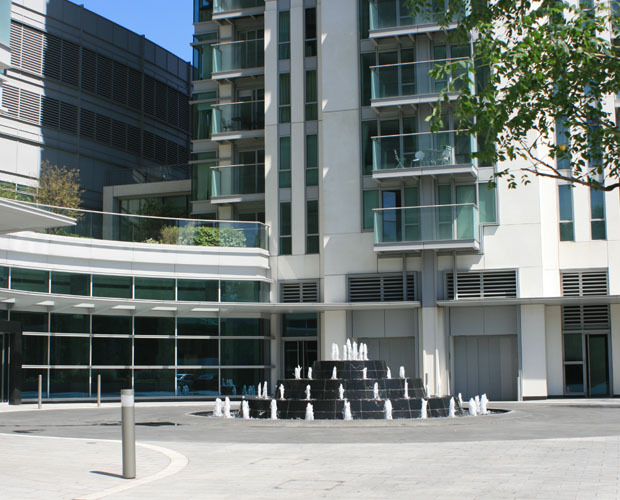 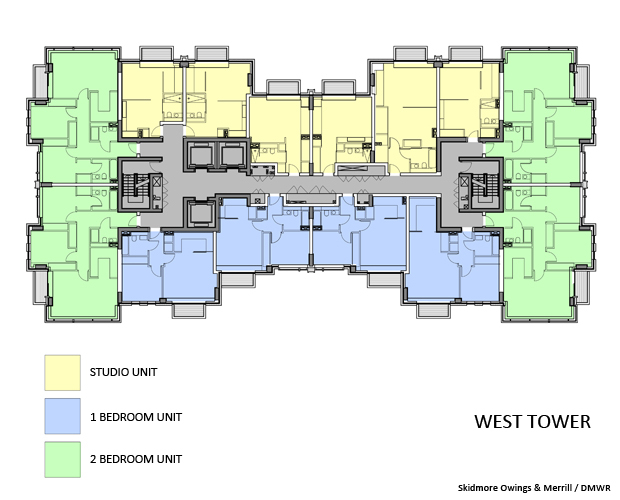 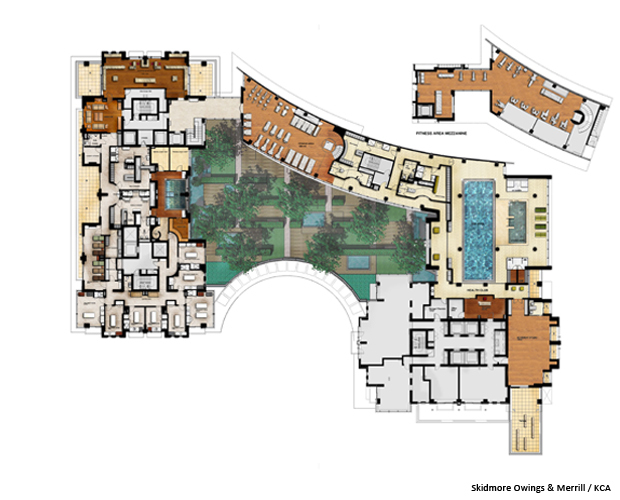 Ancillary massing above the podium houses both the health club and mechanical spaces, with a large landscaped garden set between the towers. 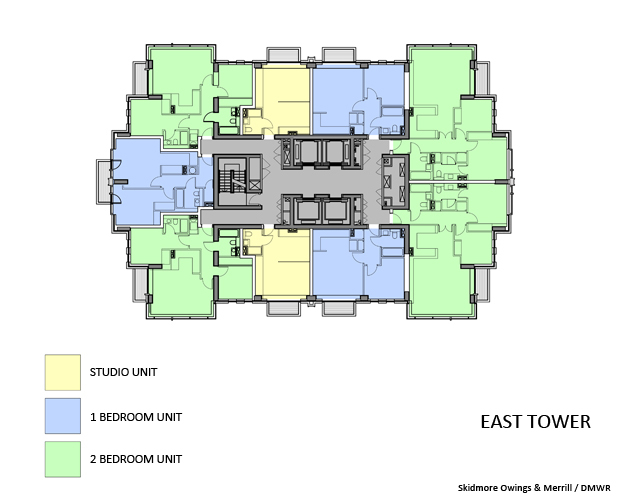 The design team developed unit prototypes based on a fundamental kit of parts principle, and utilised an additive progression of spaces to create a mix of studio, one-bedroom, and two-bedroom units. 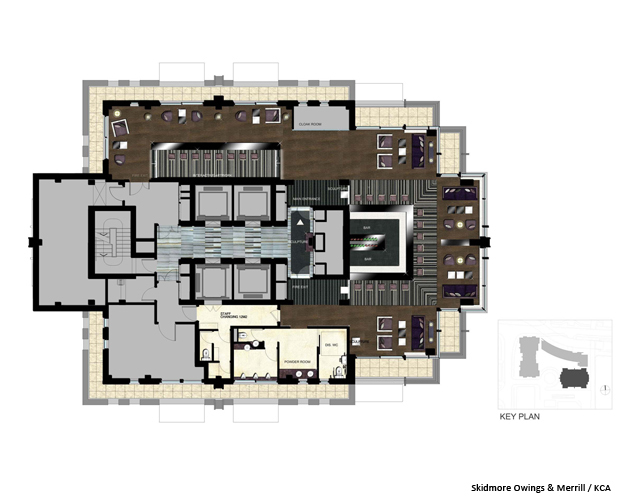 A precise language of exterior expressions, developed in tandem with the planning modules, reflects the interior programme of each component. 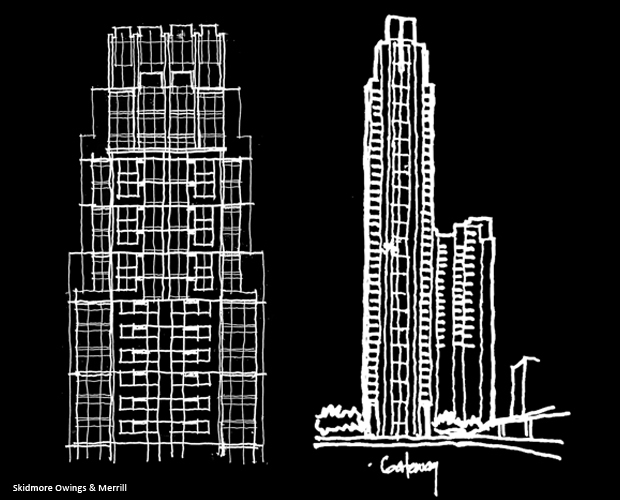 Changes in building form thus signal a change in unit types and programme. 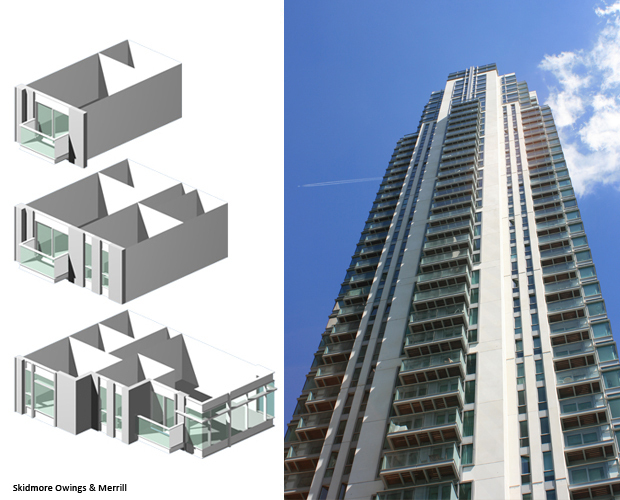 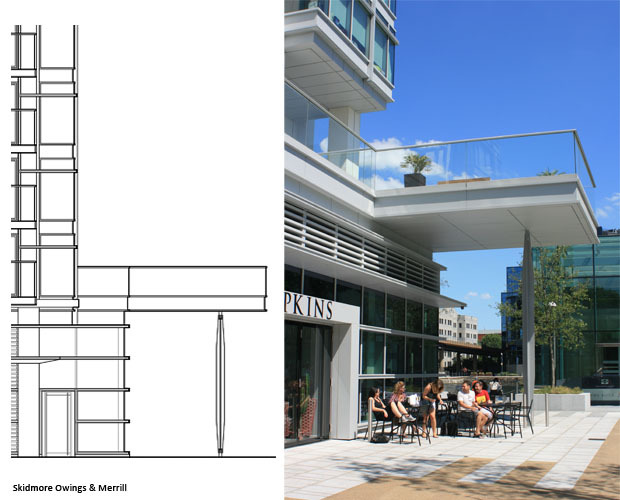 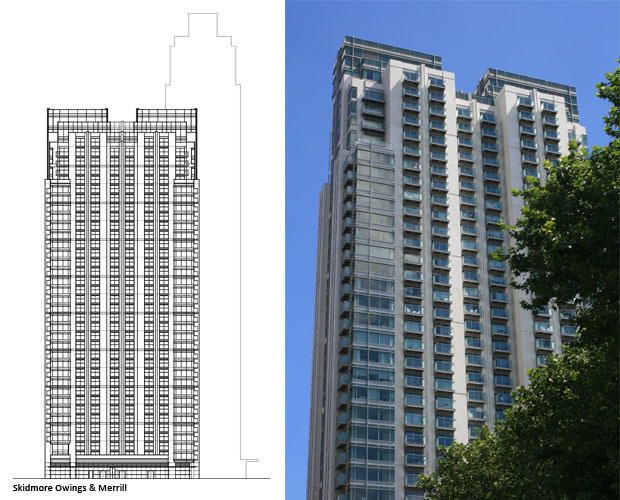 Subtle setback forms and programmatic shifts at the top of each tower create outdoor terrace spaces for large duplex and penthouse units. 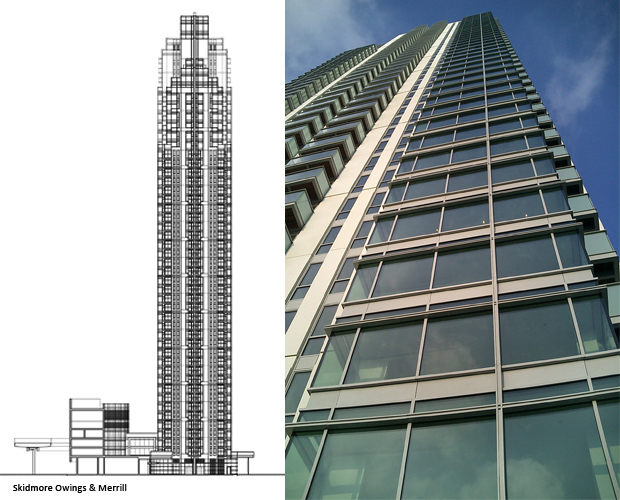 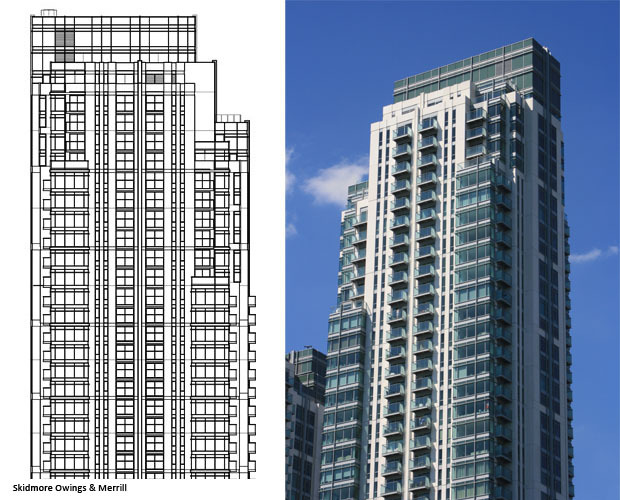 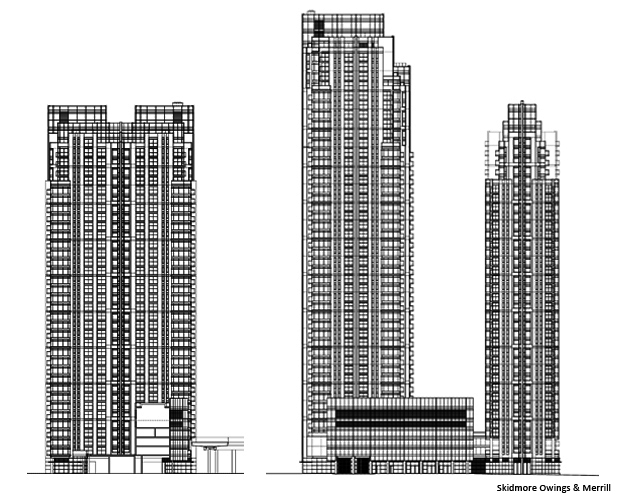 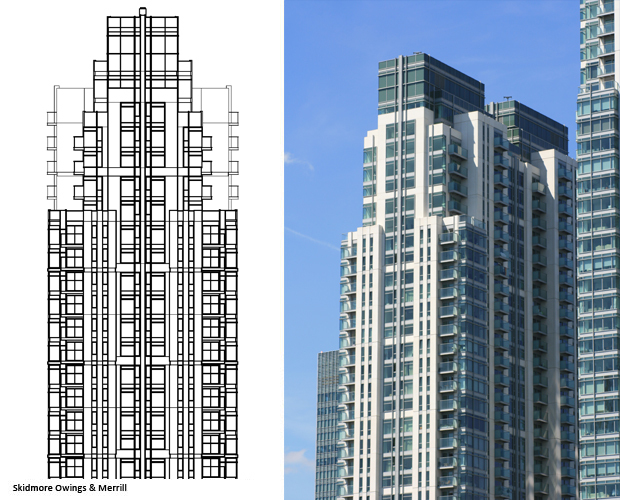 This massing arrangement creates iconic and recognizable building forms, and a dynamic and signature skyline profile.